This supporting module of project app will bring a dynamic deadline progressbar for the task. Normally in odoo, There is a field already with the name “Deadline” to define the dead date of a task. In project management, project user and project manager should aware of the remaining time for the task. It is a better concept with a color code (Green-Yellow-Orange-Red etc..) rather than a field value. 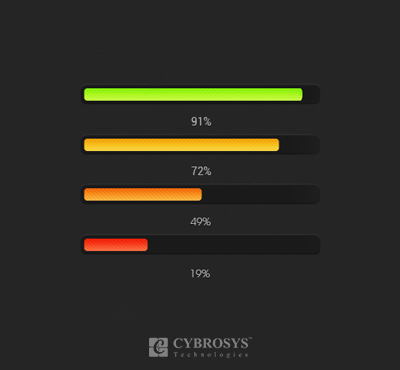 - User Defined Progress Bar Colour Configuration. - Task Lifeline Bar based on Deadline. - Automatic Colour Change of Lifeline Bar. - Default Colour for Forbidden. Lifeline of the task is a computational field, that will notify how much time is remaining to meet the deadline (date time field) with user-defined color code. Initially, it is 100% and it will tend to 0% by every minute. The user should configure the color codes for the percentage intervals in project configurations.